We all go through our day-to-day professional lives doing tasks that benefit the greater good of the company. Each day, as an employee of any company, we’re pushing the company further and continuing its mission. 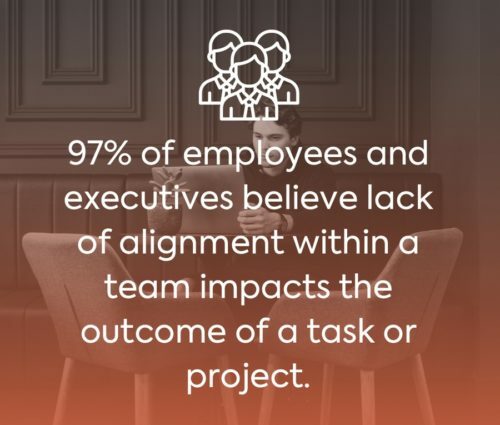 However, research suggests that the vast majority of individuals are unable to make the transition from individual contributor to a true team member – this is the main reason teams end up failing. About 75% of employers rate teamwork and collaboration as “very important,” yet only 18% of employees get communication evaluations at their performance reviews. 49% of Millennials support social tools for workplace collaboration. 90% of employees who responded in a survey believe that decision-makers should seek other opinions before making a final decision, yet 40% of employees believe that decision makers “consistently failed” to seek another opinion. Less than half of survey respondents said that their organizations discuss issues truthfully and effectively. In order to fully transition into what a proper team should look like, organizations must first recognize the growing need for collaboration. When individuals are trained to remain in their siloed job duties, it becomes difficult to make the jump. Psychologist Arthur Aron found that strangers can form close friendships in just 45 minutes by discussing deep topics and practicing self-disclosure. However, collaboration isn’t complete exposure, but sharing things that are a bit more personal than small-talk can help you build meaningful relationships with your colleagues. In order to create the optimal workplace environment, organizations need to focus on creating what is called a high-functioning team. 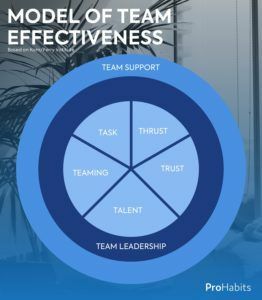 High-functioning teams are ones that go beyond straight collaboration; they’re teams that genuinely care about the success of the company and greater goal, and are there for one another to boost the entire moral for the team itself. One of the keys to developing high performing teams is to remember that successful teams do not simply happen. They take much effort, time, and work to create what will be a meaningful relationship in the long run. The Institute continues by mentioning that in today’s corporate environment, the team rather than the individual, is responsible for a business’ success. According to them, there are four necessary behaviors needed for a high-functioning team to thrive: openness, supportiveness, action orientation, and a “positive personal style.” When these four things are aligned, success can be found within your organizational teams. 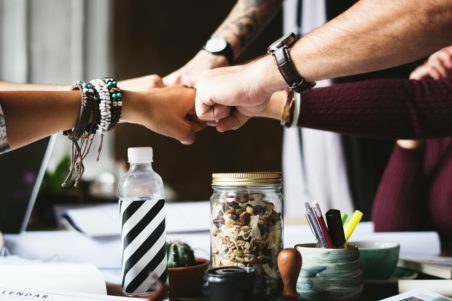 Creating a team that not only collaborates with one another, but creates lasting impacts on one another through the form of openness and supportiveness is key to the success of your organization. As individuals begin to do these things, they will naturally begin to become a team player rather than an individual contributor. Psychologist Arthur Aron found that strangers can form close friendships in just 45 minutes by discussing deep topics and practicing self-disclosure. A survey out of the University of South Alabama revealed that managers believe that listening and conversation skills are among the most useful skills in the workplace. By engaging your coworkers in conversation, you’ll not only be more likeable, but also showcase your communication skills that make you a valuable asset to your workplace.